Rory Byrne is one of motorsport’s most successful designers and was one of the big brains behind Schumacher’s dominance. 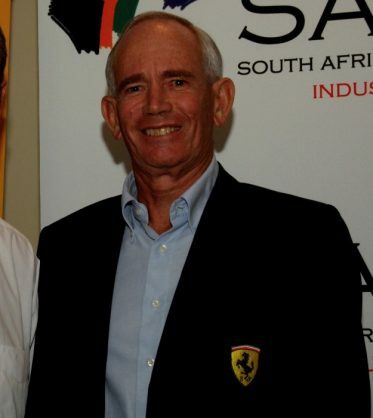 South African Rory Byrne, designer of the Formula 1 cars that took Michael Schumacher to a record number of Grand Prix wins at Benetton and Ferrari, is to be inducted into the South African Hall of Fame at Concours South Africa 2018, held this year from 10-12 August at the Steyn City Parkland Residence. The induction of Byrne into the Hall of Fame follows last year’s Concours South Africa-hosted induction ceremony where well-known drivers Sarel van der Merwe and Ian Scheckter were inducted. The Hall of Fame honours outstanding achievements among South Africans and inductees include late statesman Nelson Mandela, golfer Gary Player and athlete Wayde van Niekerk. Byrne is one of the most successful Formula 1 car designers of all time, with his achievements rating alongside other legendary car designers such as Adrian Newey, Colin Chapman, and another South African, Gordon Murray. 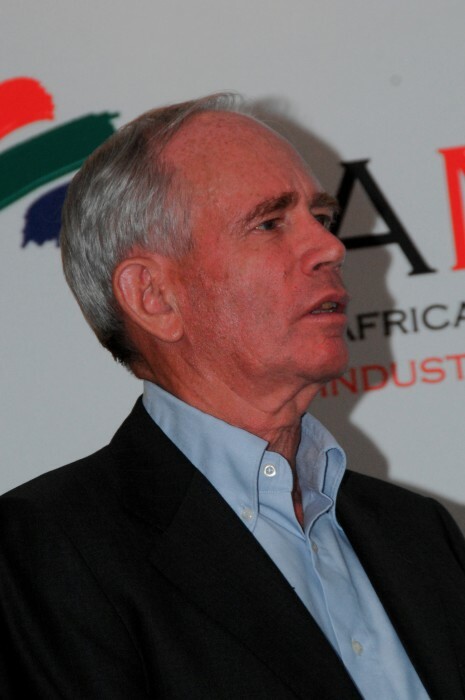 Born in Pretoria in 1944, Byrne showed early signs of his brilliance when he and his brother Gavin won a world model aircraft gliding championship while still at high school. After obtaining a BSc in chemistry and applied mathematics at the University of the Witwatersrand in 1964, Rory was bitten by the motor racing bug and soon entered a modified Ford Anglia in the Transvaal Production Car Championship. He quickly moved on to designing Formula Ford single-seater racers and one of his cars was runner-up in the 1972 South African Championship. This success motivated Rory to move to the UK, and soon he was chief designer at the famous Royale racing car manufacturer where his cars won British Formula Ford Championships in the mid-1970s. In 1978 he joined Toleman Group Motorsport where he designed European Championship-winning Formula 2 cars. Toleman were then encouraged to move into Formula 1 with Rory as their designer, and in 1984 a Toleman-Hart in the hands of the great Ayrton Senna came within a whisker of winning the Monaco Grand Prix of that year. Toleman was subsequently bought out by Italian clothing company Benetton, and in the Mexican Grand Prix of 1986, Byrne achieved one of his life-long ambitions when a car of his design won a Grand Prix, driven by Austrian Gerhard Berger. Byrne was at Benetton in 1992 when the team took on a brilliant young German driver called Michael Schumacher. By the end of 1994, Schumacher had won the World Driver’s Championship, a feat he repeated in 1995 with the Byrne-designed Benetton-Renault B195. Also in that year, Benetton added the accolade of the F1 Constructor’s Championship. When Schumacher left Benetton at the end of that year, Rory decided to retire from Formula 1 to set up a scuba diving centre in Thailand; diving being his other great love. But as Ferrari battled for F1 pace, Byrne was soon enticed to Maranello to set about redesigning the new Ferrari V10 racer. This dream team, led by the Napoleonic Jean Todt, included master F1 strategist Ross Brawn. Rory’s reward was an unprecedented run of success in Formula 1 for cars bearing his design signature. Driving Byrne-designed Ferraris, Schumacher won the World Formula 1 Championship for five straight seasons, from 2000 to 2004, and Ferrari took the Constructor’s Championships in each of those years too. As a designer, Byrne can look back on seven driver’s championships and six constructor’s championships won in his cars. In both 2002 and 2004, Ferrari won 15 out of 17 races using Byrne-designed F1 cars, a feat of dominance that has rarely been equalled in any Grand Prix season, before or since. Today, Rory has that 2004 championship-winning Ferrari F1 car in his home in Phuket, where he now lives with his wife, Pornthip. The couple have two children, and Rory and Or (as she is known) recently set up a health rejuvenation centre in Phuket. In addition to this project, he has also been involved with South African company Discovery Insure in designing a “black box” to monitor policy-holders’ driving habits and to reward good, safe driving. And, never one to shy away from a challenge, a few years ago Byrne was once-again lured back to Ferrari in a part-time design consultancy role. Many F1 insiders believe the recent resurgence of Ferrari is due in no small measure to the “magic Byrne touch”! Moreover, he was responsible for the design of the innovative carbon fibre tub of Ferrari’s ultimate road car, the legendary F150 LaFerrari of 2013 which may make an appearance at Concours South Africa.